Pick up from Platanitsi, Armenistis, Vourvourou, Nikiti, Metamorfossis, Psakoudia, Gerakinii free of charge. 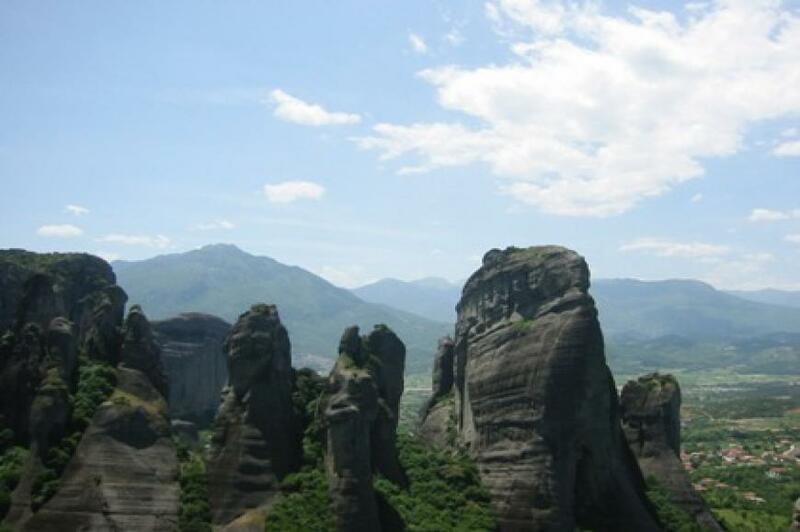 A highlight during your stay in Greece will be a visit to the Meteora Monasteries. We will travel with our comfortable bus along the coast passing by Mount Olympus, the mythical residence of the twelve Gods. There will be a 20-minutes coffee break . One more stop will follow on the way to Kalambaka travelling through Larissa and Trikala for those who would like to have an optional lunch before reaching our destination. After the small break we will continue driving through Kalambaka getting closer and closer to our magical destination. We are now in Meteora, a geological miracle which must actually be seen in order to be believed. 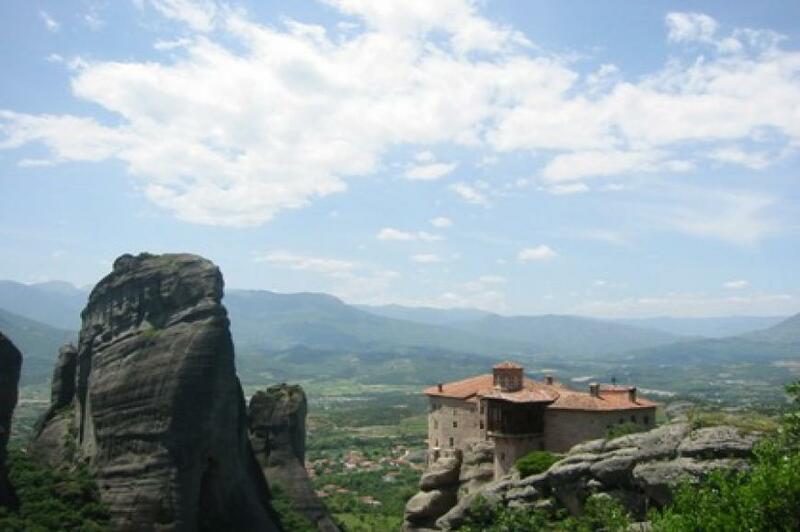 We shall visit two of the fabulous monasteries perched high upon the steep rocks. Each monastery possesses a vast richness of frescoes, icons and intricate carvings. Important notice: For entering the monasteries, appropriate clothing is required. Ladies must not wear short skirts and must have long sleeves. Men are not allowed to wear shorts. - Ladies must not wear short skirts and must have long sleeves. Men are not allowed to wear shorts. Duration: 17 hours Main Pick up point: Sarti - Parking Departure time: 06.00 am Arrival time: 23:00 p.m Pick up from Toroni, Porto Koufo, Kalamitsi, Sykia, available with supplement. Pick up from Platanitsi, Armenistis, Vourvourou, Nikiti, Metamorfossis, Psakoudia, Gerakinii free of charge.